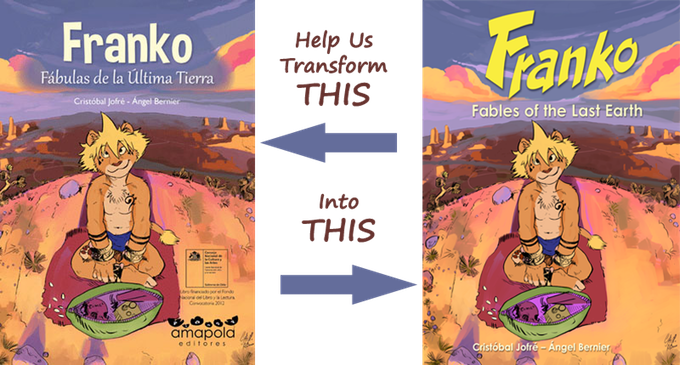 The Sofawolf Press Kickstarter Team is raising the money needed to publish English-language editions of the adventures of Franko, a young lion from Chile’s Atacama Desert. 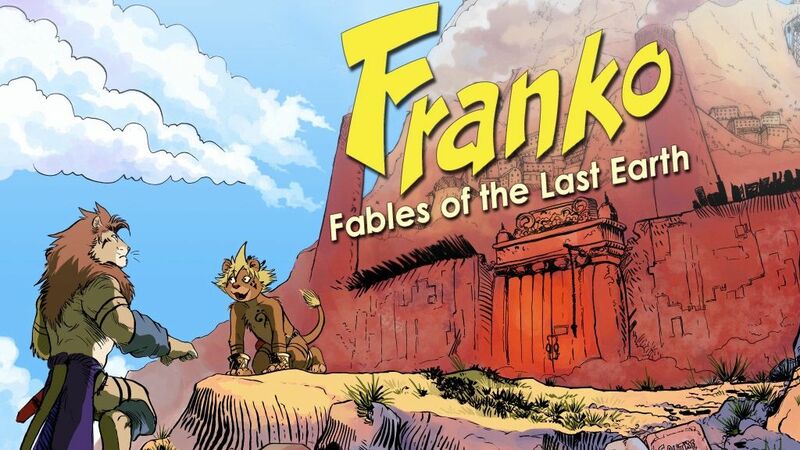 Franko, Fables of the last Earth is a 120 page collection of six comic stories about Franko, a precocious lion living on the Atacama Desert of Chile with his friend Shin, thousands of years in Earth’s future. Theirs is a vibrant world of animal characters, where humans are long gone, along with much of their technology. Life on this desert, the driest in the world, is difficult, but also full of adventures and mysteries. In each fable, Franko and Shin encounter challenges and riddles that they must solve, and in the process they learn a bit more about themselves, and others. Not every fable ends with an obvious lesson, but each one is thought-provoking and full of surprises. Franko, originally published in Chile in Spanish, was created by scriptwriter Ángel Bernier and illustrator Cristóbal Jofré, who live in Santiago. Sofawolf’s goal is to have the book ready for sale at Anthrocon (June 30 – July 3) and Comic-Con International (July 20-24). The Kickstarter has brought in $6,179 of its $9,000 goal, with 17 days to go. This entry was posted in Graphic Examples and tagged Kickstarter, SFF in Translation, Sofawolf Press by Mike Glyer. Bookmark the permalink. That is about as good an endorsement as I could imagine. Here’s how much I like Tintin: I have reviewed all of the Tintin books with the exception of Tintin in the Land of the Soviets and Tintin in the Congo. I’ve backed. Sounds interesting and I was just talking to someone who helps me out about the lack of Latinx work I see on Kickstarter. Thanks for posting this, Mr. Glyer! I backed it. SofaWolf did a very nice job with the publication of Ursula Vernon’s Digger, and I expect they will be just as quality conscious with this one.